● Harvick started fourth and finished 11th. ● Settled into sixth place after 15 laps, but soon grabbed fifth when he passed polesitter Joey Logano on lap 19. 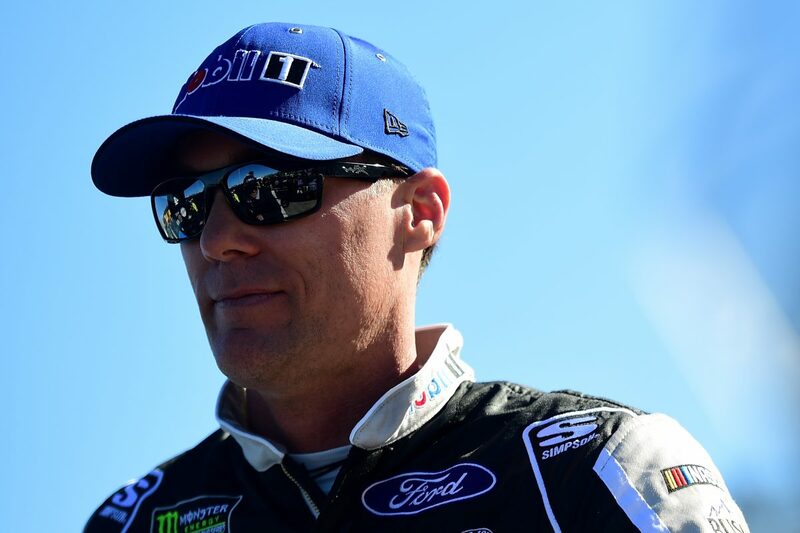 ● “Way too loose,” said Harvick on lap 32 after teammate Clint Bowyer got by to take fifth. ● Caution on lap 68 allowed Harvick to bring his No. 4 Mobil 1 Ford Mustang to the attention of his pit crew, where he got four tires, fuel and a track bar adjustment. ● Harvick restarted in eighth, but by lap 100 had dropped to ninth. ● “As soon as I let off the brake, it goes sideways,” said Harvick on lap 104. ● Pitted for four tires, fuel and a right-rear wedge adjustment at the conclusion of the stage. ● Started 11th and finished seventh, collecting four bonus points. ● Climbed back up to ninth following a caution on lap 147. ● Held steady in seventh place through the end of the stage. ● Pitted for four tires and fuel at the end of the stage. Only adjustment was to tire pressures. ● Started 11th and finished sixth. ● Despite emerging from the pits in 11th place, Harvick drove his No. 4 Mobil 1 Ford Mustang up to sixth by lap 291. ● Caution on lap 313 sent Harvick to the pits for four tires, fuel and a right-rear wedge adjustment to tighten up his racecar. Remained in sixth place for the lap-319 restart. ● Stayed in sixth through caution on lap 374, whereupon Harvick pitted for four tires, fuel and another right-rear wedge adjustment. ● The Mobil 1 pit crew picked up one spot on pit road, sending Harvick back out in fifth for the lap-379 restart. ● Battled door-to-door with the No. 11 of Denny Hamlin, with Hamlin getting past on lap 458, dropping Harvick to sixth. ● Maintained sixth place through the end of the race. ● Harvick earned his fifth top-10 of the season and his 18th top-10 in 36 career Monster Energy NASCAR Cup Series starts at Martinsville. ● Brad Keselowski won the Martinsville 500 to score his 29th career Monster Energy NASCAR Cup Series victory, his second of the season and his second at Martinsville. His margin of victory over second-place Chase Elliott was .594 of a second. ● There were seven caution periods for a total of 56 laps. ● Twenty of the 36 drivers in the Martinsville 500 finished on the lead lap. ● Kyle Busch leaves Martinsville as the championship leader with a 21-point advantage over second-place Hamlin. The next event on the Monster Energy NASCAR Cup Series schedule is the O’Reilly Auto Parts 500 on Sunday, March 31 at Texas Motor Speedway in Fort Worth. The race starts at 3 p.m. EDT with live coverage provided by FOX.